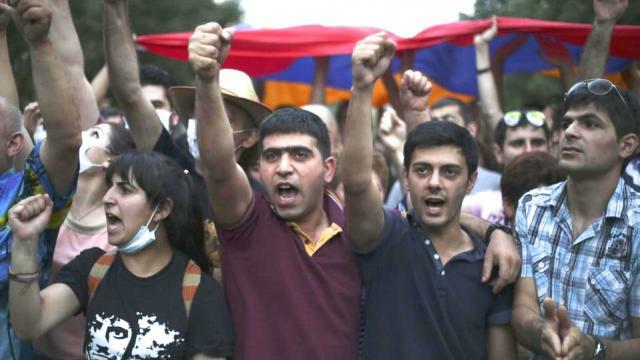 Armed men seized a police station and hostages in Armenia’s capital Yerevan yesterday (17 July), killing a police officer, demanding Armenians take to the streets to secure the release of jailed opposition politicians. Their main demand was to free Jirair Sefilian, an opposition leader whom the authorities have accused of plotting civil unrest. Sefilian was jailed in June over allegations of illegally possessing weapons. 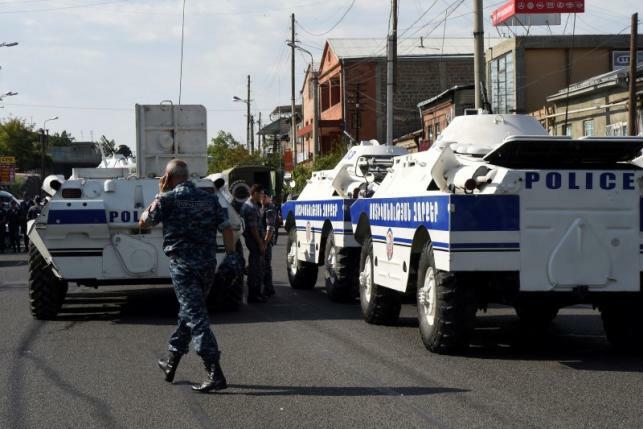 Armenia’s security service said one policeman had been killed and two wounded in the violence, but that negotiations were now underway to try to persuade the hostage takers to lay down their weapons. “Special units remain on the scene in a state of combat readiness, but the order to attack or take any other action has not been given to them,” the National Security Service said in a statement. Two hostages had been freed, it said, and “several” hostages remained. The city’s deputy police chief, Valery Osipyan, was reported to be among them. Photographs from the scene show the area crowded with white armored police vehicles. Armenians voted in a referendum on constitutional reforms on Sunday (6 December) which the opposition claims are aimed at keeping the ex-Soviet state’s President, Serzh Sargsyan, in power. Though far smaller in scale, suggestions by one opposition politician that an armed uprising was underway stoked speculation that the hostage takers had drawn inspiration from an unsuccessful coup attempt in neighboring Turkey. 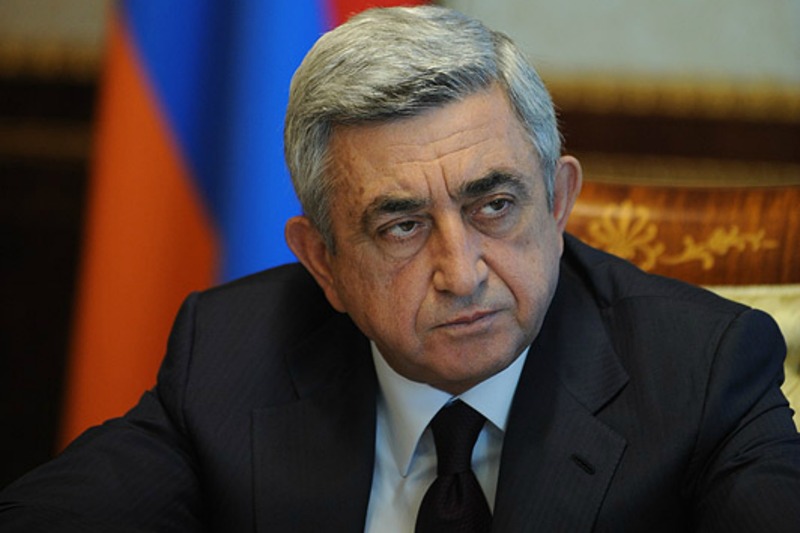 President Serzh Sargsyan held a meeting with security officials to decide how best to handle the situation, his office said, saying he had been told that the siege was completely under control. The National Security Service accused the hostage takers’ supporters of spreading false rumors on the internet about an uprising and the seizure of other buildings. Such assertions were “disinformation,” it said. Video footage of the hostage takers posted on Russia’s lifenews.ru portal showed the men, armed with Kalashnikov assault rifles, and wearing bullet proof vests, listing their demands. The ongoing protests over electricity prices are a danger to the Sargsyan government, according to Strafor, the global intelligence company. There were no reports of crowds taking to the streets. Several prominent Armenian political commentators said the men appeared to sympathize with the Founding Parliament opposition group, which they said did not enjoy wide support. At least one other opposition group, Flourishing Armenia, denounced the violence and said the men were unlikely to inspire more than 50 people to take to the streets. Some Armenian news outlets reported that the armed men were also demanding that the president quit. Reuters could not confirm that assertion. Sefilian, a former military commander and the man the hostage takers most want freed, has strongly criticized President Sargsyan in the past, saying he is unhappy about the way the government has been handling a long-running conflict between pro-Armenian separatists and the breakaway Azeri region of Nagorno-Karabakh.